Are you worried about roaming fees or not having Wifi on your trip? Most places in Croatia have wifi, but I feel like when you desperately need it, the connection is bad. While my phone from the USA will work in Croatia (I have T-Mobile), I still like to have reliable Wifi so that I can use my maps, GPS, etc when I need it. It can be frustrating when traveling and being lost and although all signs in Croatia are quite good, it is very nice to have good Wifi. Roam Free Ninja is a portable hot spot that can connect up to 10 devices and you have unlimited internet during your stay. 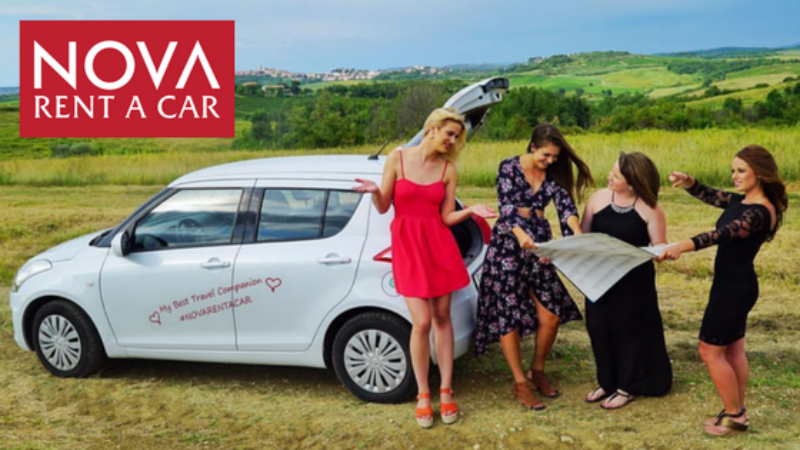 ORDER – Book your device on the website, https://roamfree.ninja, select the dates of your stay in Croatia and place your order. COLLECT- The device will be delivered to your first hotel, apartment, AirBnB, or even marina if you are traveling by boat. ACTIVATE- Once you turn the device on, it will generate a private WI-FI network and you will be connected to the internet. RETURN- Simply put the device in the return envelope that is provided for you and drop it in any mailbox or post office. I have been using Nova Rent A Car for years. With offices in almost every major city throughout Croatia, it is so easy to work with them and they are always willing to help. Also, most cars in Croatia are manual, so if you don’t know how to drive this or it stresses you out, just request an automatic. Don’t let your trip be ruined with stress- I’ve learned the hard way. If you are a picky eater or maybe have some health issues when it comes to food, don’t worry you will manage. One thing to note though, is being picky is not really a “thing” I’ve noticed in Croatia. Out of respect try not to change an order too much and be willing to try new foods. If you are allergic to something or need special foods, maybe learn the words in Croatian to make everything clear and easy. Have your bank put a travel advisory on all your cards because the last thing that you want is have a card that doesn’t work and be stranded without money. Also, be aware that when you use a card abroad you are usually charged a foreign transaction fee. If you have time to prepare, try getting or using a card that has no foreign transaction fees. Also, when you are using your card abroad, it might ask if you want to be charged in your currency (Dollars) or the local currency. I usually say the local currency because it will still show up in your currency on your report and I think there is always a better exchange. Trips can be stressful if you are rushing to catch a ferry, bus or a meet a tour guide. I like to avoid this by always arriving early and if you arrive early, you just have more time to enjoy a coffee! You might need to bring a little extra patience with you, but that is because life runs at a bit of a slower pace, so just embrace it! Give yourself time to find parking because there aren’t always big parking garages around, give yourself time to get lost and give yourself time to make your dinner reservation. 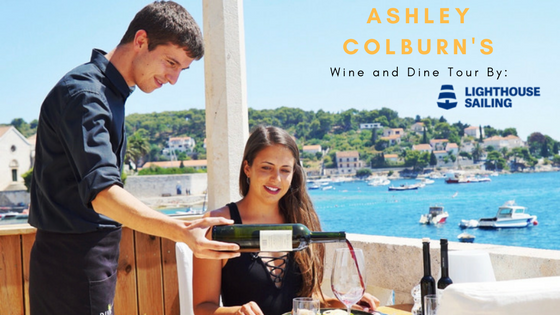 I’m Ashley, a TV producer and host from San Diego, California, however now I live half the year in my new home, Croatia. I am a two-time Emmy award-winning TV producer and host and have traveled to more than 50 countries. I spend about 9 months a year on the road filming, but several of these months I am based in Croatia. I have two TV series that are airing around the world. In the USA you can watch “Takeoff with Ashley Colburn” on AWE and my other series “WONDERS” airs around the world.